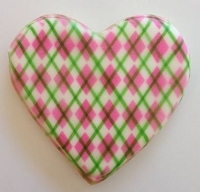 Damask Lovely Stencil, by The Cookie Countess, creates a Damask pattern design that measures 4 5/8" x 4 5/8". 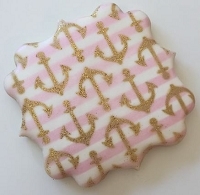 This Damask Stencil is great for cupcakes, cakes, cookies, and more. 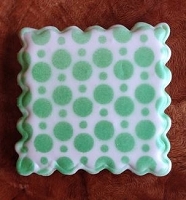 Finished cookie by Hillary Ramos.